Finding somewhere to park a bike on busy Toronto streets can be challenging – with some cyclists forced to walk for blocks or lock their bikes to trees and signposts. The creators of a new app are hoping to find a solution to the city’s bike parking problem by crowdsourcing data on parking issues. BikeSpace is a web-based app, funded in part by the City of Toronto, which encourages cyclists to report parking issues at their location, from a lack of parking spots to an abandoned bicycle taking up space. Last year, Miller graduated from the University of Toronto’s with a Master of Information from the Faculty of Information. During his time at U of T, he became interested in information policy, user experience design (UX) and databases. “It was actually the perfect preparation for this job,” he says. Miller leads a team of volunteers in developing the app, including two U of T alumna – Pearl Sequeira and Kate Skipton. All of the data collected by the app, which is available now, will be mapped out and put online. “I think it allows people to get creative and it builds accountability or, at the very least, it opens the dialogue a lot more than has currently been the case,” says Miller. 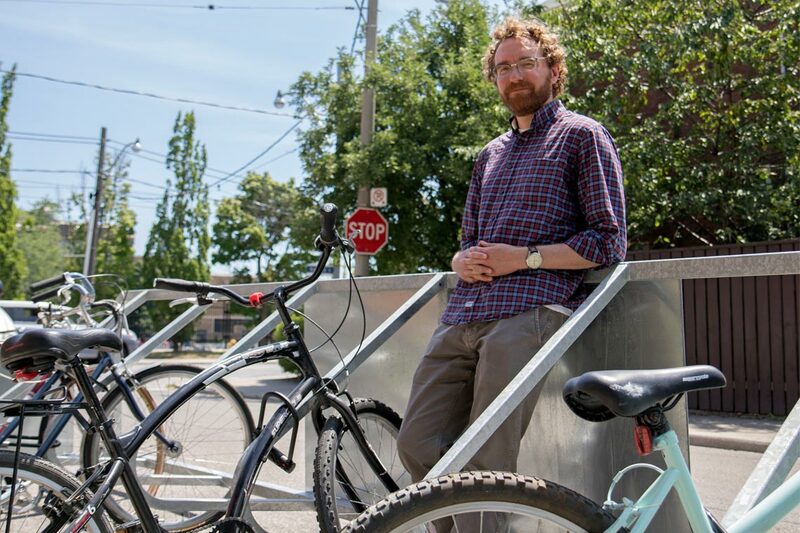 This data will provide proof points for city planners when deciding where to install more bicycle parking, and for developers who may identify a need for bike parking around their properties, he says. Miller hopes to see this model of civic engagement catch on for other urban issues.